Splash pages, you gotta love 'em. A blank canvas where the artist can hit you with a large dose of illustrated 'wow'. 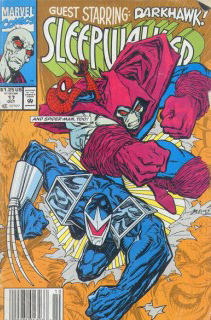 This week, a solo splashie that flipped the world on it's side by having Marvel's two non-mutant buzz-kids of the 90's, Darkhawk and Sleepwalker, bust in on the plans of X-villains, The Brotherhood of Evil Mutants. Man, if you haven't clicked enlarge on that wee corker you really are doing the world of comic art a dis-service. Like no one could top Mike Manley's rendering of Darkhawk, no one comes close to old Sleepy, done by the pen of Bret Belvins. 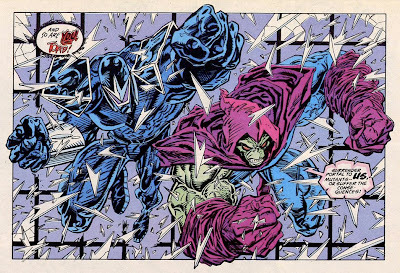 Not only would either of these two be a welcome return to the pages of Marvel Comics for this fan, they also represent one of the most missed aspect of the 90's; when the 'Big Two' would throw an 'all-new' character out to the wolves and see if it survived. Sure, I get in tight economies you need to hedge your bets with established brands, but surely one in every... oh I don't know, 52 titles could be a new concept. 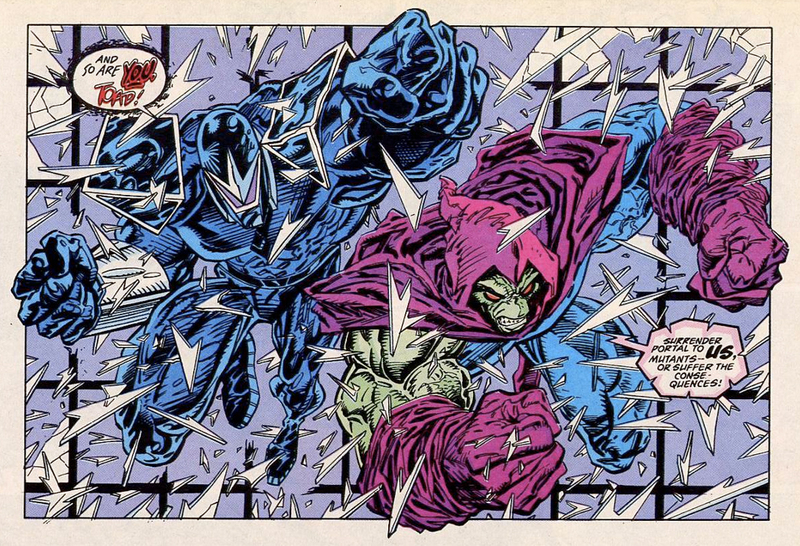 Just so fans who want to get in on the ground floor of a franchise, still get that chance, like these two (and in particular Darkhawk), created for me.